It’s important to know the fundamentals of mixing, but sometimes you just need to pull out a sonic trick or two to make that mix just jump out of the speakers. That’s why I created the 101 Mixing Tricks video coaching program. In it, you’ll find 101 big studio mixing tricks that the A-list pros use that not many people know about. These can be easily applied to any small or home studio mixing situation to make your mixes hold up against what's coming from the major labels. I’ve been collecting these tricks for years from hitmaker mixers like Andrew Scheps, Dave Pensado Robert Orton, Elliot Scheiner, Ed Cherney, Ken Scott, and many more, and now you can watch the step by step process as I set each one up in a DAW so you can easily do it yourself afterward. If you're familiar with my Mixing Engineer's Handbook or Audio Mixing Bootcamp books, or my courses on Lynda.com, you know that I'm really good at breaking down what can sometimes be a complex subject into something that's very easy to understand, and that's exactly what you'll find here. 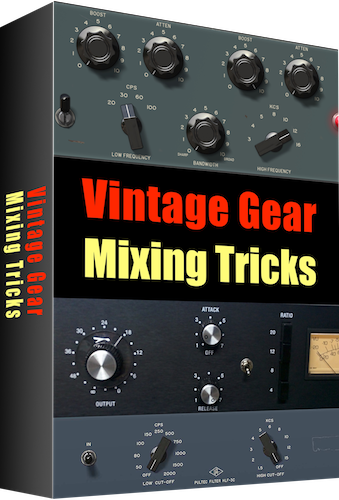 In the vast majority of tricks, you won’t need any special or expensive plugins. I'll show you how to make them work with just the native processors built into your DAW. These tricks are platform agnostic, so they'll work on any DAW app, and even on an analog or digital console! Thanks, Bobby, this was an amazing course! You made it easy for me to understand these tricks and I am sure that using these amazing tricks will take my mixing to a brand new level. Sidney T.
...And hundreds more like these! All tricks can be used on any DAW or console (analog or digital), and primarily use the native plugins that come with your DAW. And they're available to you 24/7 with no time limit. 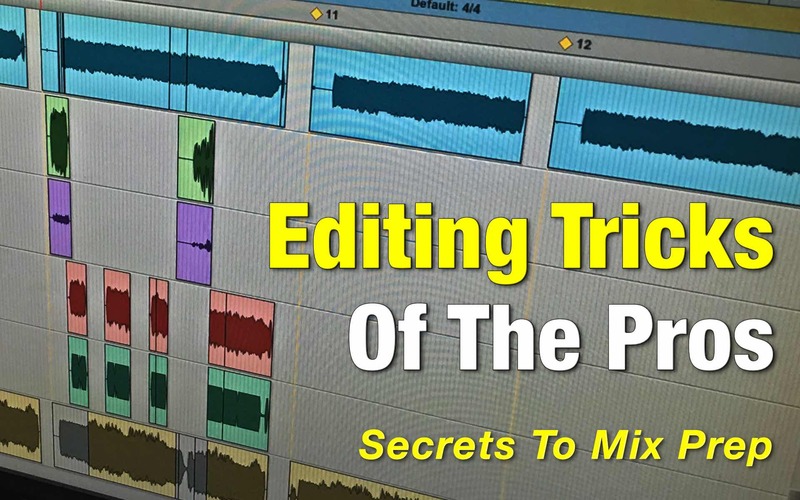 I'm pretty sure that you won't find all the things that are in my 101 Mixing Tricks program in one place anywhere else (or in some cases - you can't find these techniques anywhere else at all), and I'm really sure that these will help your mixes like no other way can. I'm willing to back up that claim with a guarantee. 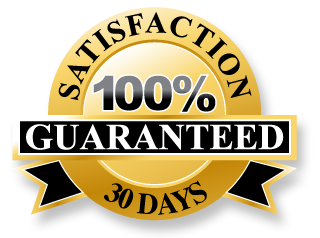 If you're not satisfied by the end of 30 days, then I don't want your money and I'll give you back every penny. No hassles and we can part as friends. 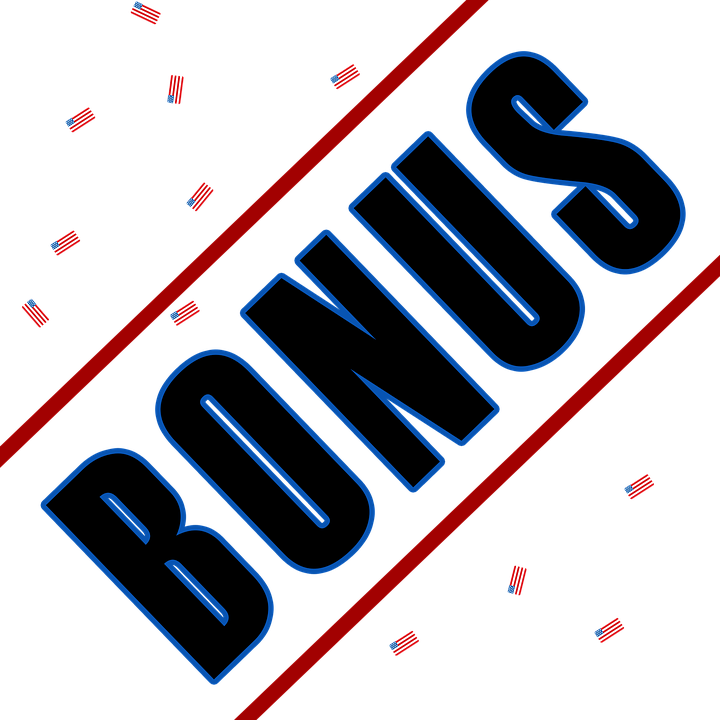 99.5% of those that register for my courses are over the moon with satisfaction, but if you're not one of them, then you have my complete 100% Money-Back Guarantee! Click on the button on the right to get started! I'm very confident that my 101 Mixing Tricks Coaching Program will be one of the smartest moves in music that you'll ever make. If your mixes sound better, you're more likely to get a gig, impress an agent or manager, get a record label interested, or sell a song. I always say to myself, "If I only knew then what I know now." This course will allow you to take advantage of my experience to help you take your mixes to the next level. P.S. Remember - These tricks can be easily applied to any small or home studio mixing situation to make your mixes hold up against major label releases.